We love a good party! Especially in the summertime when they involve a patio and a grill. As the weather finally warms up, it’s time to spruce up your outdoor space in preparation for all of the hosting you’ll be doing. Earlier this year, Target’s style expert for home, Emily Henderson started making over her own deck — she lives in sunny L.A. so her outdoor oasis is in use year-round — and we asked her to share some patio ideas and inspiration. When I started thinking about revamping my deck, I broke it down into three verbs: living, eating and relaxing. It’s important that a space is comfortable and functional, yet stylish and something that fits my taste. Below I put together a few tips that will help you get started on your own patio makeover. A simple way to update your current patio furniture is by adding some pillows. 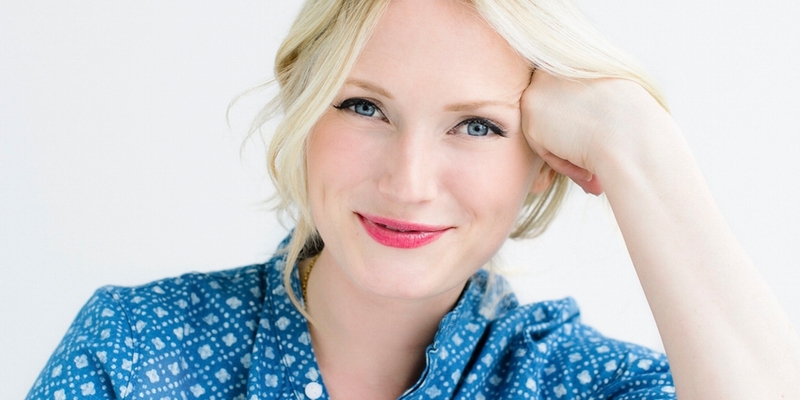 I’m crushing on this nautical option from Target’s Threshold line. Don’t be afraid of wicker. Wicker has come a long way from its Golden Girl roots. It may seem like something only your grandmother would buy, but trust me on this one. I’ve been singing wicker’s praises on my blog for years. 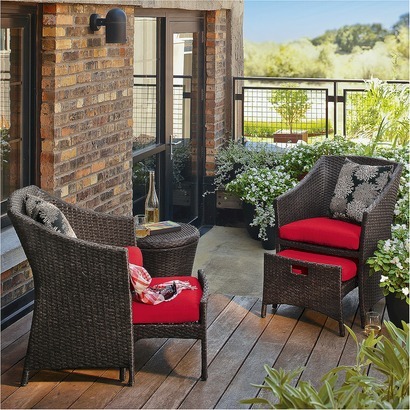 If you’re looking for patio furniture, Threshold has a great wicker set that will elevate your space and make your guests feel at home! If I didn’t lose you on the last one, here’s my next tip…create a space where people want to hang out late into the evening. That means adding some lights! 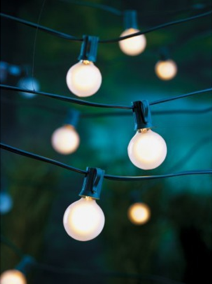 I love an outdoor space that’s decorated with string lights like these Room Essentials globe lights. It instantly makes a space feel like a European cafe. Its so simple but such high impact. Because we live in L.A., our deck is the equivalent of our backyard. I’m planning some serious landscaping, but really, just a few plants will bring some joy to your outdoor space. I’m digging this stone planter. It would look great filled with your favorite flowers or grasses, and could help create a bit of privacy for a living area. I always say that a room is soulless without a vintage or antique piece. 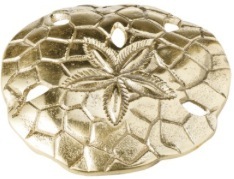 While a sand dollar trinket isn’t exactly vintage, it looks the part and adds a lot of character and quirk. Add an element of surprise! You can use serving trays in so many ways. I like incorporating them as décor to add texture to your outdoor sitting area and using them as a surface to style a tablescape vignette. This large round rattan serving tray is great because it has this natural and sort of rustic look that goes well outdoors. Or you can plop it on a pouf, transforming it into a side table.